get about 50 mb/s download and 30 mb/s upload. A mobile carrier offering affordable unlimited internet? In the United States? NOPE. No such thing. I thought it was worth a shot checking out if you hadn't. It was the solution for us at our family cabin. We had ADSL only offering about 700/200 kbps and switched to mobile and now we get up to about 7 Mbps. It's capped at 2 GB/month (the bandwidth drops to 200 kbps if the limit is exceeded), but it's not a big issue for our use. The cost is about $30/month, which actually is slightly less than the ADSL service. It's a bit strange that the US is so slow adopting new technology, even in the bay area in California. Internet, mobile phones, etc. The rest of the world began surfing the web on phones while people in the US were still walking around with pagers. 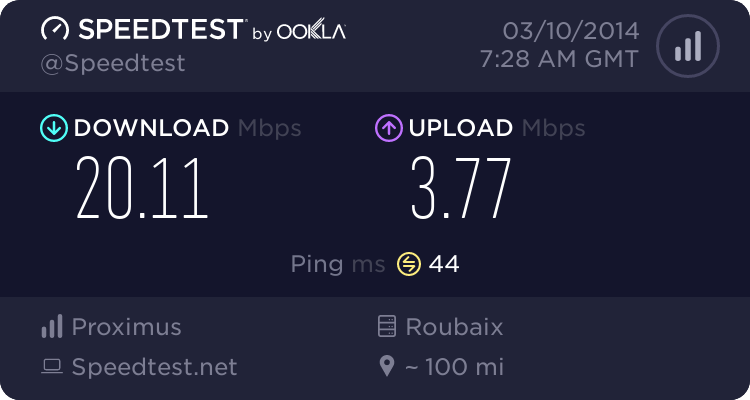 Do dialup services still exist in the US? It's mostly that companies can make more money by not upgrading their products and services while still charging a high price for them. The consolidation of so many communications companies into a few giants has made for an effective monopoly here. They don't really compete with each other, and since they lack outside competition they keep prices high. Places where Google Fiber has come to have seen a reduction in prices by other ISPs in an effort to compete, but it will take years before competition from Google and potential other companies to have a nationwide effect. Do dialup services still exist in the US? I think so, though I don't know anyone who uses them. I know of a few services you can get still. Best of all some companies charge like $14 a month for dial up and people still pay for it. The US is backwards in so many ways. When smartphone plans first came out there were an insane amount of unlimited data plans. Now you can't get unlimited data unless you have a previous contract that you renew. When was this? I remember the late 90s when pagers were big but mobile phones and mobile computing was already catching on when DSL/cable services kicked in. The only time I remember pagers being big was in the early and mid 90s when dial up internet was the only thing available and mobile networks were in their infancy. If you mean MB and not Mb, then that's actually not a bad price, it's cheaper than we can get here. But 40 Mbps should be possible if 4G is available, and you don't pay more for 4G. I have 4G on my phone, but it's not available everywhere. 4G is very hyped, though. My phone often insists switching over to a weak 4G signal rather to stay on a strong "slower" signal, causing some instability. At our cabin we only have a special 450 MHz network, which requires a different modem. I can't remember if 4G is available there. The price would be about the same. When was this? I remember the late 90s when pagers were big but mobile phones and mobile computing was already catching on when DSL/cable services kicked in. I'm exaggerating a bit. This was the early 2000's and pagers weren't very common anymore, but mobile phones still had limited use. I recall a visit to the SF area as late as 2006 and I still found the mobile coverage bad, data coverage extremely bad. It seemed strange to be so offline. I had dialup until 1994 or 1995, I think, and a proper link since then, but dialup was still in common use until the late 90's and then rapidly declined. I found an article from 2007 stating that there were still 35,000 active dialup subscriptions in Norway. 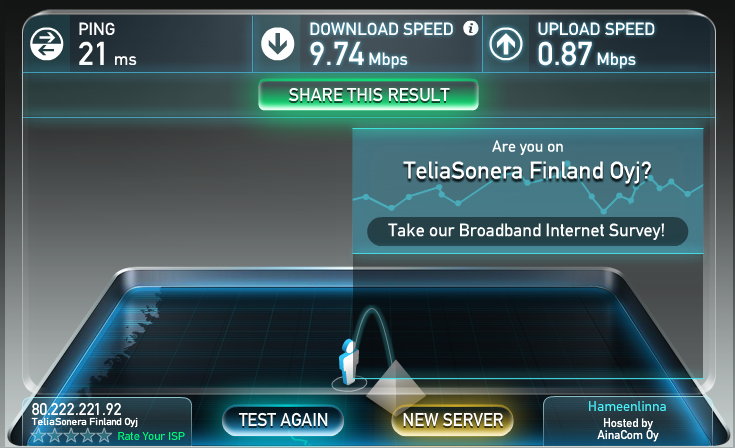 I've been trying to get fiber for many years but the providers in Oslo are very reluctant to expand into my area. The prefer apartment buildings where the subscription becomes a part of the rent. 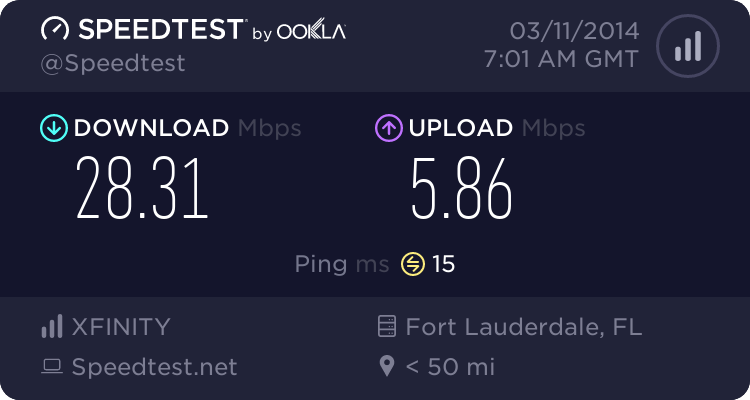 So I have internet from my cable company currently. 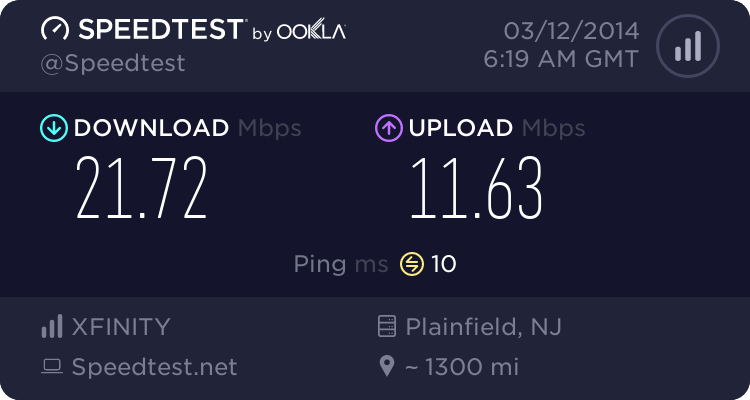 20/5 Mbps for $40-50/month, or so. 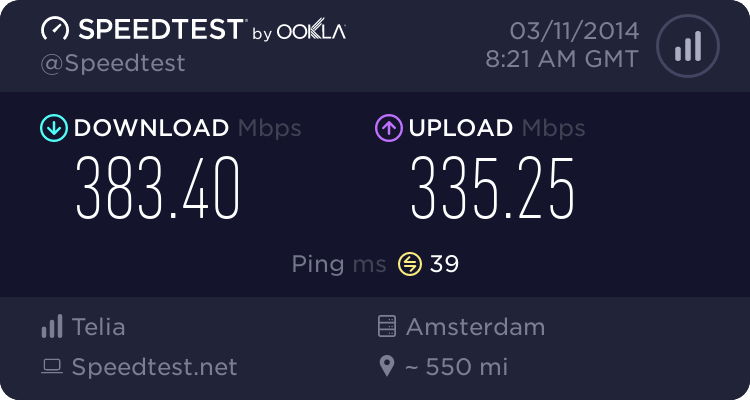 I can get more download speed, but 20 is fine for me. I haven't used Google Earth in years. 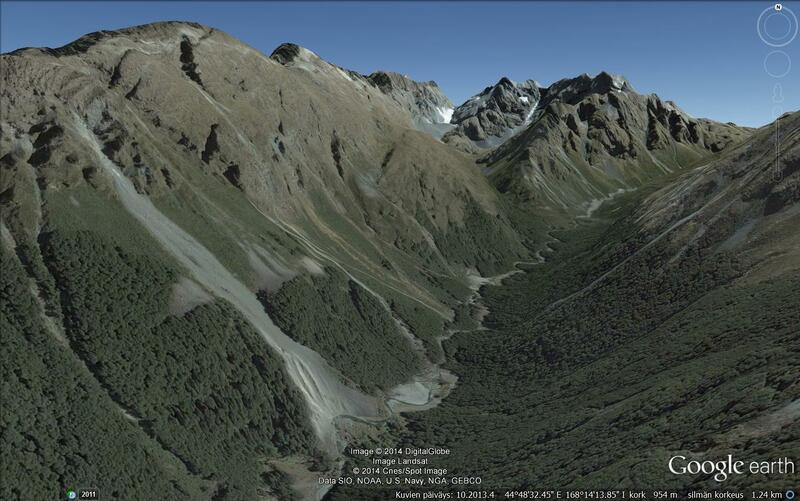 It looks impressive nowadays, with all the 3D mountains and other stuff. 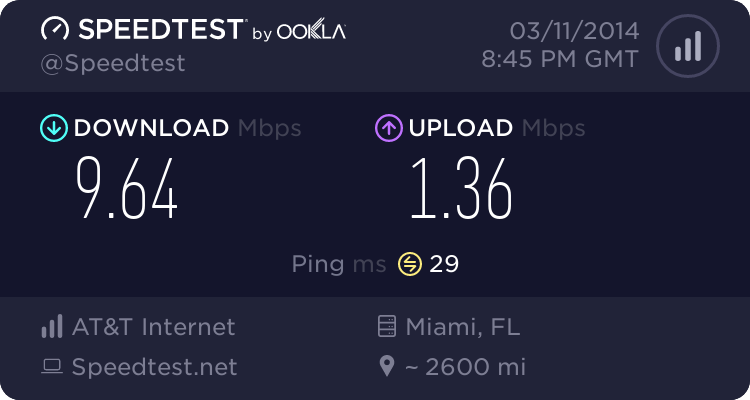 I hate my internet, the speeds go all over the place. Which it has always had. No it hasn't. It has for a while, but not always. Well, it had 3D terrain when I first used it, and that was 9 years ago. EDIT: I just looked it up, and from what I can tell 3D terrain has existed since the creation of the program, dating back to before it was acquired by Google.